"One of our projects for HGTV will speak to those Brady Bunch fans on the call," David Zaslav said, according to The Los Angeles Times. "You may have heard that the house from the iconic series was recently on the market in California. 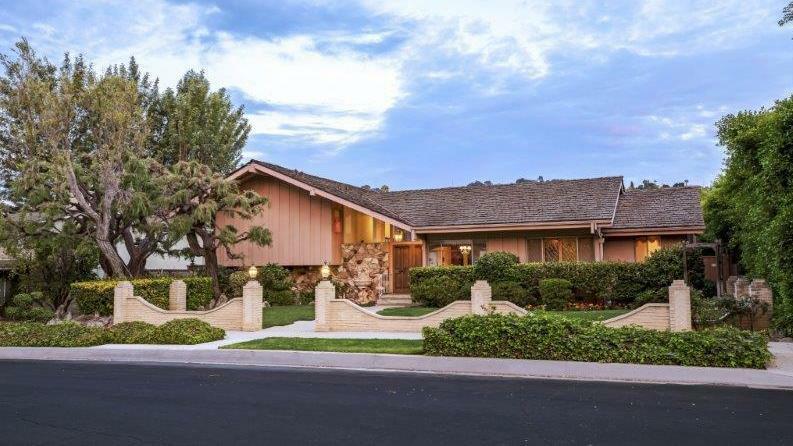 I'm excited to share that HGTV is the winning bidder and will restore the Brady Bunch home to its 1970s glory as only HGTV can," he said. "More detail to come over the next few months, but we'll bring all the resources to bear to tell safe, fun stories about this beloved piece of American TV history." The purchase price was not immediately available, but it had been listed at $1.85 million. The home and garden network reportedly beat out a handful of other interested parties, including Lance Bass, the former 'N Sync member. Bass announced excitedly on Twitter last week that he had the winning bid, only to be told later by an agent representing the estate that "another corporate buyer" wanted the house "at any cost." "While we appreciate Mr. Bass and his interest in the Dilling Street property, tremendous interest in the house required a sealed, best and final bid," said a spokesman for Douglas Elliman, the agency selling the property, according to MarketWatch. "Our fiduciary obligation is to the seller, who decided to go with the highest, most qualified bid. We wish Mr. Bass the best of luck in future real-estate endeavors." Douglas Elliman listing agent Ernie Carswell told the Times on Saturday "that the sale to Bass was not a done deal and that the seller had not made a final decision at the time," according to the newspaper. After initially chaffing at the reversal, Bass seemed content in defeat, tweeting, "HGTV??! Aw man. I'd be pretty upset if it were anyone else, but how can you be mad at HGTV?? My television is stuck on that channel. Kudos HGTV, I know you will do the right thing with the house. That was always my biggest worry. I can smile again." As MarketWatch notes, "The chances of making a winning bid are lower when the buyer is competing against someone making an all-cash offer, as was the case for Bass." In July, the nearly 2,500-square foot house, which sits on a 12,500-square-foot lot, went on the market for the first time in 50 years. It previously sold in 1973 — a year before The Brady Bunch series wrapped — for $61,000. As we wrote last month, "Megafans may be disappointed to know that inside, the house looks very different from the sitcom set with its large open staircase. The show was filmed in a Los Angeles studio."